Silverman’s “most” may have been an exaggeration. That same year, found that 72 of the top 100 P&C companies didn’t even offer a mobile app. If offering no app was “already behind” in 2016, it’s even further behind today. Displaying insurance documents or filing claims is merely the beginning for today’s mobile app technology. Here, we talk about why all property and casualty insurance carriers need a mobile app — and why a bare-bones version of your website will no longer suffice. In 2015, the amount of online traffic on mobile apps pulled even with the amount of traffic on desktop sites, according to OuterBox CEO . Since then, mobile traffic has outpaced desktop traffic, and the number of sales completed on mobile apps versus desktop sites has risen every year. For purchasers of P&C insurance, majority-mobile is relatively new — but it has arrived. An study found that 51 percent of insurance customers had already purchased at least one form of coverage through a mobile channel. A plurality also rely on mobile apps for other purposes. Forty-two percent of Accenture’s study group preferred to seek information and advice through mobile apps. 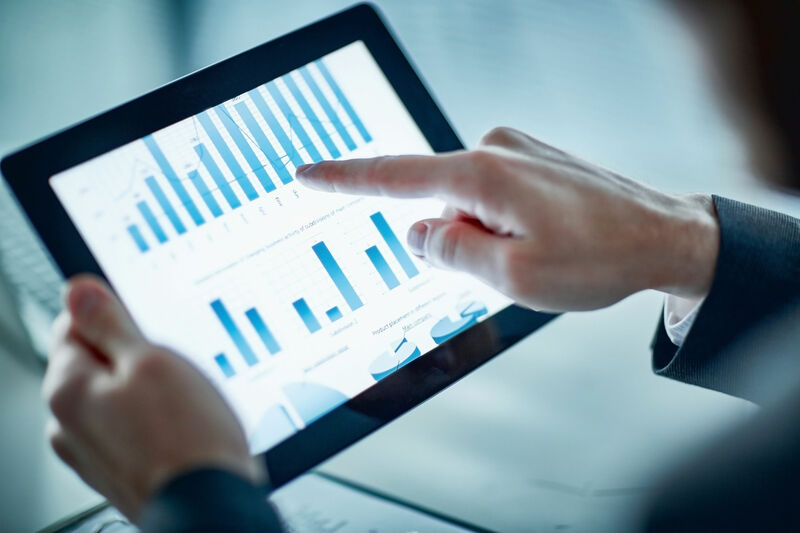 And 46 percent ranked competitive pricing highly among their expectations for insurance, which meant they were willing to eschew an insurer if they could not find pricing information easily via mobile. By the end of 2018, purchases via mobile app are expected to make up 27 percent of all US consumer spending online, according to at Invest. While much research on app use focuses on Millennials and Gen Z-ers — shoppers who are currently age 38 and younger — mobile app use isn’t solely the province of the younger generations. “Over the past couple years we’ve noticed a trend; technological savviness is becoming less and less restricted to a specific age group,” said at Propelics. And as each year passes, generations that grew up with tech at their fingertips become older, and new digital natives reach the age where purchasing auto, renter’s or homeowner’s insurance is a must. 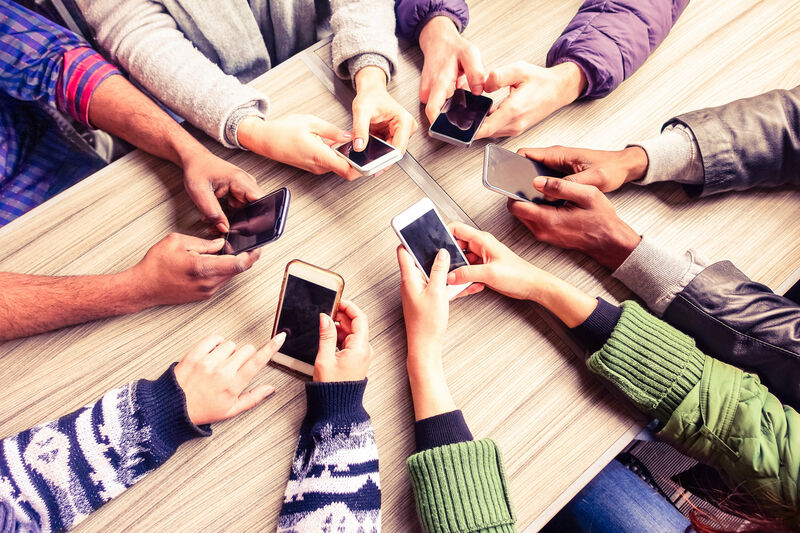 In just a few short years, mobile apps have become the preferred way to connect with customers in nearly every industry, including P&C insurance. But a well-crafted mobile app offers other benefits, as well. “Mobile is a new way of solving traditional challenges in the insurance industry,” says at eSignLive, which facilitates signatures for transactions online. And the solutions can pay off. Customers spend more. Shukairy notes that mobile shoppers spend up to twice as much as those who buy from a desktop device. Carriers earn more. found that 24 of the 28 P&C carriers offering mobile app access in 2016 saw an increase in their net written premiums. Customers learn more. Invesp found that 95 percent of customers look up information on mobile apps and sites before engaging with a business to make a purchase. Carriers retain more. Cognizant found that P&C carriers with well-designed, multi-functional apps had customer retention rates above 83 percent. Invesp also found that 53 percent of customers prefer to use a company’s dedicated mobile app to shop rather than looking at the mobile version of the company’s website. This finding was echoed in Cognizant’s discovery that the more functions an app offered, the more likely customers were both to use it and to stay with their P&C carrier. Apps can facilitate the filing of low-value claims. 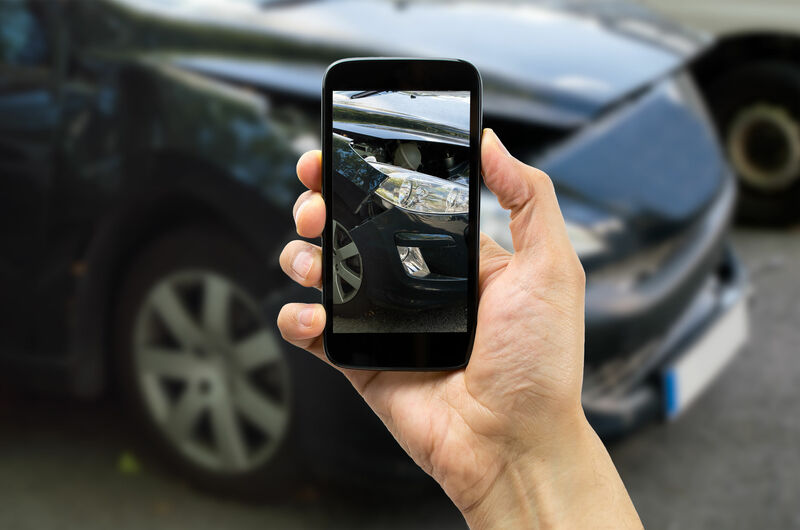 Apps that support photo, audiovisual and document uploads make it possible for insureds to gather information at an accident scene and send it to an adjuster immediately. While in-person response may always be essential to large claims, smaller claims can be processed more efficiently and on the basis of data gathered in real time at the scene. Apps can shorten the time to resolve claims. Asking a long list of questions is one of the repetitive, rules-based tasks that automation can take off the hands of insurers. Mobile apps can help by providing the kind of visual data that allows adjusters to answer those questions themselves, reducing the time needed to complete a claim and often improving customer satisfaction in an “I want it now” world. Apps can help prevent fraud. Currently, screening algorithms are used in a wide range of applications to detect everything from plagiarism in student papers to copyright violations in YouTube uploads. P&C carrier apps can employ similar algorithms to help detect fraud, arson or other misdeeds related to insurance claims. A mobile app’s ability to engage customers, gather information and screen data is only valuable if customers actually engage with the app. Built with mobile in mind. An app that merely rehashes the website — or worse, duplicates the mobile site — is less engaging and user-friendly than an app built specifically for quick mobile use. Light, fast and user-friendly. Slow apps frustrate customers. A fast app with an intuitive, user-friendly design boosts engagement and customer satisfaction. Make it a game. Gamification helps users learn to navigate the app without tedious explanations, which in turn engages them more quickly and thoroughly in the information and purchasing process. Expand beyond your own offerings. An app anyone can use, whether or not they are a current customer, is more likely to attract new customers and retain current ones than an app focused solely on selling. In addition, don’t hesitate to seek a mobile app option that integrates with your company’s current digital platform — especially if a move to omni-channel is underway. A well-integrated app can further streamline the purchasing and claims processes, improve customer retention and reduce time and effort on any number of tasks.